Google’s Pixel and Pixel XL was the first device which were made by Google. And they are already working on its successor, the Pixel 2. 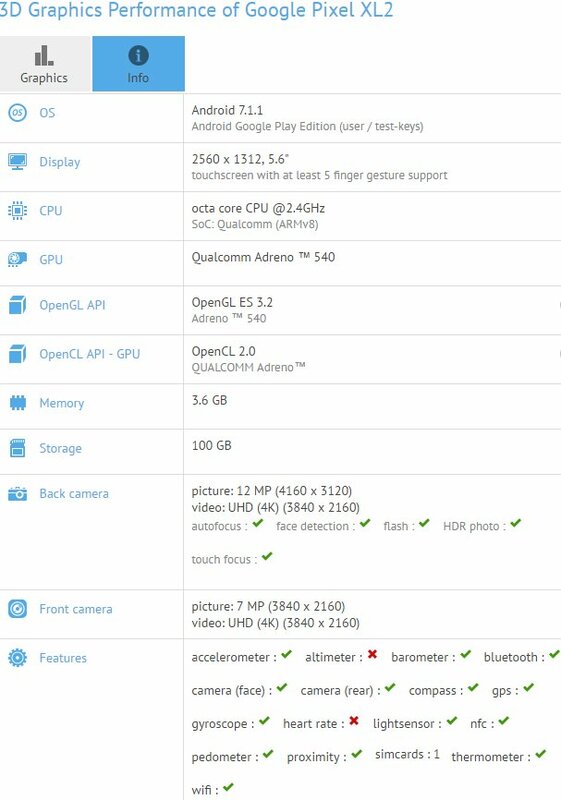 Now, thanks to a listing on GFXBench, the alleged specs of the Pixel 2 have been revealed. The listing suggests that the Pixel 2 will come with a 5.6-inch display with an 18:9 aspect ratio. This approach is similar to what LG and Samsung have taken with their flagship handsets this year. The new aspect ratio is better suited for multitasking while also aiding ergonomics. Surprisingly, with the new aspect ratio, the display size of the Pixel 2 will actually be smaller than many other flagships and even the original Pixel XL. The screen resolution in the GFXBench listing was also reported as 2560 x 1312 which is slightly lower than QHD. This approach is the exact opposite of what other Android OEMs have taken who went for QHD+ resolution on their phones with 18:9 aspect ratio. 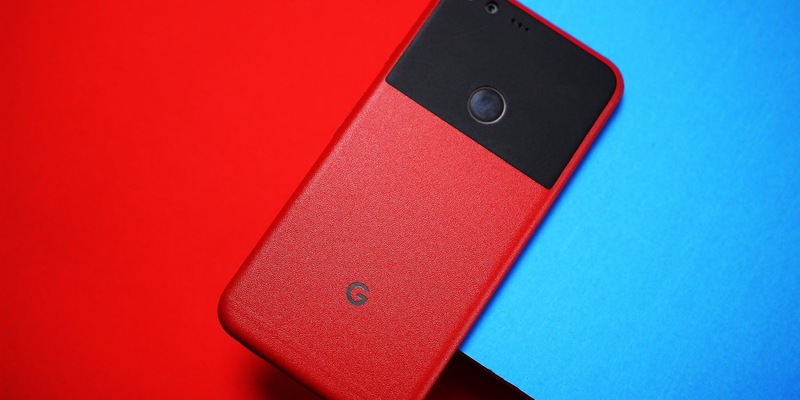 The listing also reveals that the Pixel 2 will come with Qualcomm’s Snapdragon 835 chipset, an Adreno 540 GPU, 4GB RAM, NFC, and a 12MP rear shooter capable of recording videos in 4K resolution. The front sensor will also be getting an upgrade in resolution to 7MP. The Pixel 2 is still more 3-4 months away from its official unveiling and the device is likely in the final stages of its testing before it enters mass production in a couple of months from now. What do you think about the Pixel 2 based on the leaked specs? Do you think the move to 18:9 aspect ratio display is worth it?